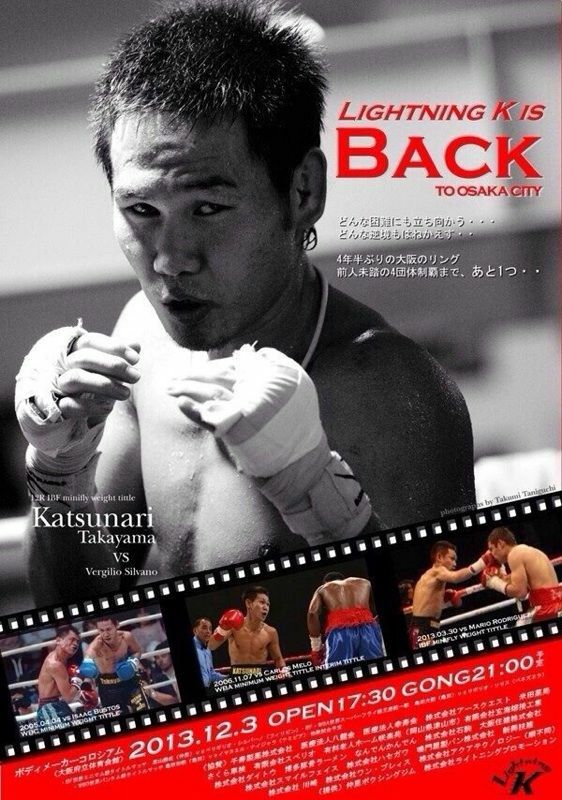 IBF Minimumweight champion Katsunari Takayama makes his long awaited return to Japan as he competes on the up-coming Kameda card. Takayama, who hasn't fought in Japan since 2009 and hasn't fought in Osaka 2008 seems to have some how gotten his own poster for the show. We'll be honest we think it's great that Takayama is back in Japan and although the poster is a bit of a strange one we like it and really hope that Takayama's fight with Vergilio Silvano will leave a lasting impression on fans and see him back in Japan with out another long wait. As well as the poster there is also a banner for the fight as seen above. Very strange in all honesty considering that the fight isn't even the lead fight for the show!